DESCRIPTION: "Lunch box special:" factory letter indicates no record of this serial number. Serial number recut before factory blue was applied. 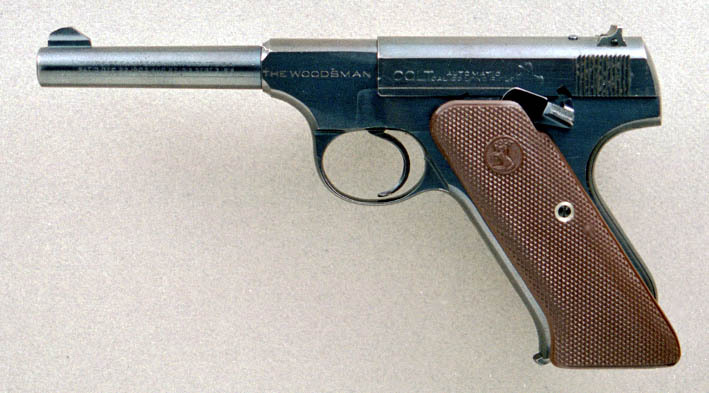 Postwar/Prewar gun with the extended plastic grips.